Tomas Brandon is an electrical engineer by day, a pub musician some nights, and an officer in the Irish Army Defense Reserve some weekends and summer days. Ellen Porter is an American engineer on temporary assignment in Dublin.Come along to find out what happens when Ellen wanders into the pub where Tomas is playing one spring evening. 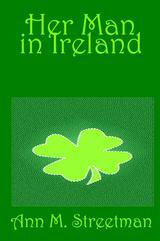 If you like sweet romance, this Irish-American tale is for you.